Eric: At the beginning of time, the clock struck one. A drop of dew, and the clock struck two. From the dew grew a tree, and the clock struck three. Then the tree made a door, and the clock struck four. Then man came alive, And the clock struck five. Count not, waste not, the hours of the clock. Behold I stand at the door and knock. Based on a true memoir of survival, love, retribution, and forgiveness, "The Railway Man" sets off from Edinburgh at a leisurely pace. The film slowly unfolds through flashbacks as layer upon layer of a World War II veteran's repressed memories are stripped away. A brutal, less spectacular cousin to "The Bridge on the River Kwai," the film centers on events that followed the British surrender of Singapore in 1942 and the subsequent Japanese use of British prisoners of war to construct a railway line from Thailand into Burma. Hidden secrets erupt from a rumpled domestic scene and unfurl in a bleak and monochromatic Scotland. 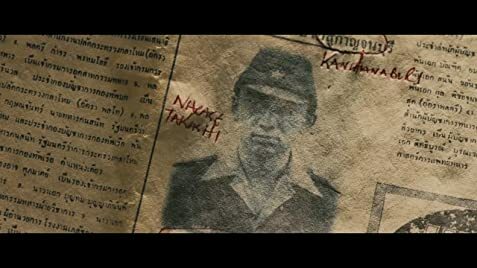 However, in flashback, the cinematography shifts to warmer hues that imbue the tropical prison camp scenes shot around Kanchanaburi, Thailand, and the actual rail line that crosses the River Kwai. The film's outer layer is a love story between an aging unkempt railway enthusiast, Eric Lomax, and a younger woman, Patti, whom he meets during a train journey. Once wed, Eric's suppressed demons from his war experiences surface, and Patti attempts to unravel her husband's mysteries and reclaim the man that she loves. Colin Firth portrays Eric in a restrained internalized performance that simmers with efforts to suppress harrowing memories, pent-up anger, and a thirst for vengeance. Unfortunately, Nicole Kidman's perfect complexion and carefully made-up demeanor work against any verisimilitude as Patti, the loyal, loving wife of an introverted man with dark secrets; once beyond her looks, however, she does an earnest capable job in the undemanding role. The rest of the film's cast is also fine; Jeremy Irvine does well as the young Eric, who convinces viewers that he could age into Colin Firth. Stellan Skarsgard has a short, but effective role, as Finlay, the mature version of Lomax's prison mate, who helps Patti delve into Eric's past. Tanroh Ishida and Hiroyuki Sanada are excellent in key roles as Japanese guard and interpreter. 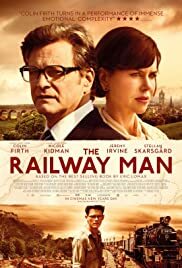 Unlike the David Lean classic, "The Railway Man" is no action thriller, but rather a psychological examination of the lingering effects of war's brutalities on the survivors, both the victors and the vanquished. Colin Firth gives another powerful, if underplayed, performance in a still rising career of memorable roles; Firth alone is reason enough to see the movie. At times, director Jonathan Teplitzky is a bit too arty for the film's good; his wide-screen images are sometimes self-consciously composed; and holding the camera on static shots of characters thinking or remembering may be mesmerizing for some viewers, but tedious for others. 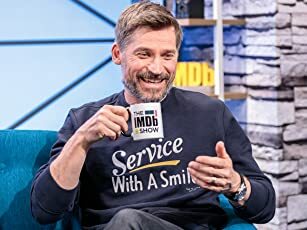 However, despite pacing issues, most evident early in the film, patient viewers will be rewarded with a powerful heartfelt closing that should stimulate the tear ducts.